From 1541, with Henry VIII, supported by the Irish parliament, claimed kingship over all of Ireland and introduced the Crown of Ireland Act of 1542. Many of the Irish Lords, Gael and Anglo-Irish alike made submissions to him and were re-granted their holdings with an English title. With the crown of Ireland act enforce the Gaels and the Anglo-Irish were also put under duress to conform to English customs, adopt the English language and to dress in the English fashion. The greatest of all the Gaelic lords was “The” Ó Neill, Con Bacach O’ Neill, Lord of Tír Eóghain and he submitted in 1542 after a sustained military campaign against him by the new Lord Deputy of Ireland, the Earl St. Leger. Ó Neill was presented to King Henry in London and took the title Earl of Tyrone. For the the remainder of Henry’s rule, his interests in Ireland were managed by the Earl St. Leger, but after his death in 1547, the throne passed to Edward (VI) Tudor, a ten year old boy who was a determined Protestant. In reality power lay in the hands of the Lord Protectors who preferred total conquest of Ireland rather than St. Leger’s policy of surrender and re-grant. It was also their intention to impose the Protestant faith upon the Catholic Anglo-Irish and Gaelic Irish. 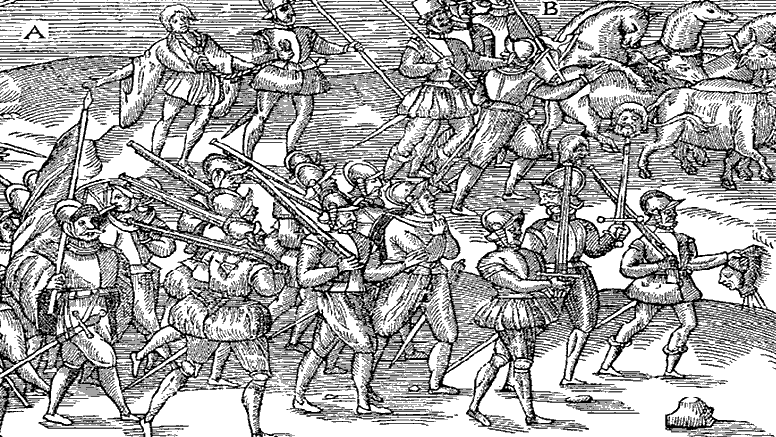 St. Leger was recalled to London in 1548 and a different type of settler began to appear in the Pale. These settlers were known as New English and were advocates of militant Protestantism. Under the new Lord Deputy, Thomas Radclyffe, the 3rd Earl of Sussex, the New English began to seize lands confiscated from the Church or from those who refused to conform to the new religion. Edward VI was to die young at the age of 15 and right to the end he was determined to maintain Protestantism as the state religion by attempting to prevent his half-sisters Mary and Elizabeth from becoming Queen. He named his cousin, the Protestant Lady Jane Grey as his successor and she was monarch for 9 days before Mary was proclaimed rightful Queen. Mary, a Catholic, wasted no time in earning her nick-name of Bloody Mary. Many Protestants were tried under the heresy laws and burned at the stake. The ascension of Mary I to the throne was initially a cause of relief to the hard pressed Catholics in Ireland. They believed that there would be a reversal of their misfortunes. However, Mary Tudor was not only a Catholic but a queen of England who firmly believed in expanding her country’s power and influence. In Ireland she supported the more militant response to the rebellious Gaelic Irish and in 1556 she approved the idea of plantation. She ordered the removal of the O’ Mores and the O’ Connors from their lands and formed two counties out of that territory which she named Queens County (now Laois) and Kings County (now Offaly). Two new towns were called Maryborough (Portlaoise) and Philipstown (Daingean), named after her and her husband Philip the King of Spain. At the start of the Tudor plantations new settlers were sent over from England to fill these confiscated lands but the native Irish fought back so much so that there was a suggestion put to the Government that all the Irish within these lands should be killed but it was rejected as being too expensive. Mary was never to see her Tudor plantation succeed. She died in 1558 and was succeeded by her half-sister Elisabeth I under whom not only would settlers be brought into the new plantations but the whole country would be subdued once and for all. A History of Ireland in 250 Episodes by Jonathan Bardon. Gill & Macmillan. Dublin 2010. Ireland in the Age of the Tudors: English Expansion and the end of Gaelic Rule by Steven Ellis. Longman. London & New York. 1998. Story of Ireland. In Search of a New National Memory by Neill Hegarty. BBC Books (Random House). 2011. Published to accompany television series “Story of Ireland”.